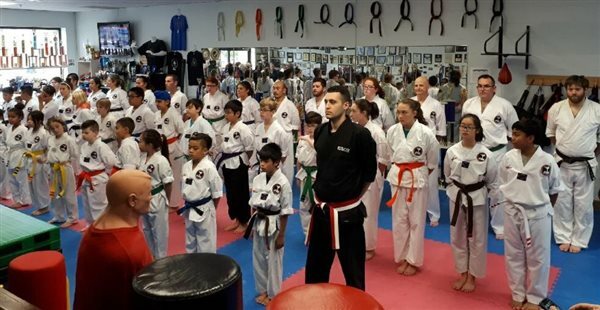 Guelph Family Martial Arts has been awarded the highly coveted International Business Award, the Top Choice Award as the top martial arts school in the area. Award Winners are selected on a number of criteria through the voting process. Winners are selected throughout North America and Europe. This is the 4th straight year that Guelph Family Martial Arts has been recognized as the award winner. 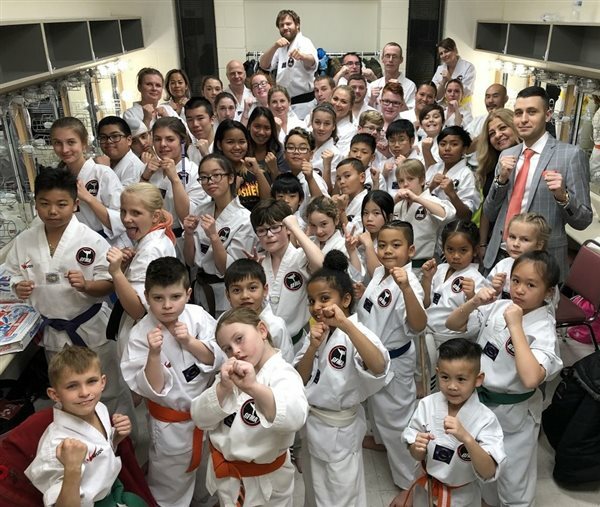 Guelph Family Martial Arts is owned and operated by World Champion Nathan Skoufis and World Champion Sophie Skoufis who are lifetime Guelph residents. Skoufis began martial arts in the spring of 2000, a young Skoufis wanted to quit martial arts several times as a young boy. His mother Sophie joined to keep him involved in the sport. He opened his now famous studio while studying at the University of Guelph, as he believed it would have a positive impact on the community as a whole. The martial arts are a rare life changing activity with emphasis on personal growth and development in a non-judgmental environment. Skoufis values what martial arts did as for him as a man and wanted to share that with individuals throughout the area. Guelph Family Martial Arts has become one of the city’s landmarks and is the most prestigious studio in the area. 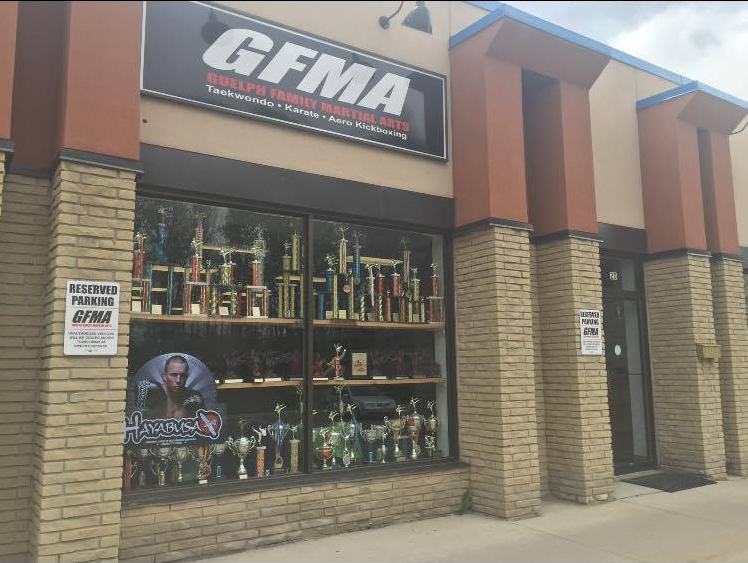 Students travel from over an hour to train at the studio from surrounding cities to be a part of the community at GFMA. Skoufis is an active motivational speaker at events throughout the area sharing his inspirational story of overcoming obstacles. GFMA is also active throughout the city in a variety of community events and charities. Martial arts have been stereotypically a sport that focuses on combat which can intimidate many, however it is so much more developing life skills like focus, courtesy, self-control, indomitable spirit, discipline, confidence and many more. Martial arts are often only seen as an activity that is combat focused. GFMA is a transcendent program, that displays the pioneering, innovative and trendsetting views of the Skoufis family to achieve outstanding results for all students. This program has been featured in school boards throughout the area. GFMA has trained olympians and many professional athletes all here in Guelph. Sophie Skoufis is a Women of Distinction Recipient for her contributions to throughout the community. Nathan Skoufis is a 20 under 40 and a 40 under 40 Recipient for his contributions in the community. As well as being named Youth Ambassador and Young Inspirational Leader for the City. Both are community champions. GFMA offers classes for students 3.5 years and older. Guelph Family Martial Arts would like to say thank you everyone for your continued support over the years and for making GFMA what it is today! We could not have done it without you all! The overwhelming support we receive on a daily basis is truly humbling.